Overview: For most of the postwar period, Long Island’s economy was driven by two powerful engines – income flowing to commuters from jobs in Manhattan, and a large defense industry fueled by Washington DC. 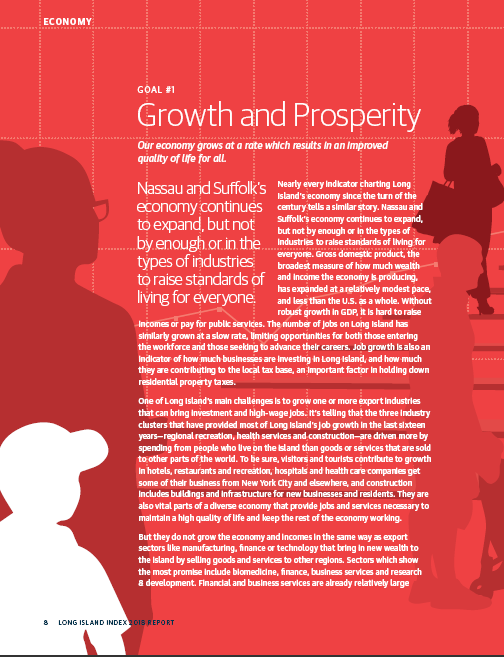 Now, prosperity comes from many sources, and Long Island needs to look for more of its income to be generated from within its own boundaries. 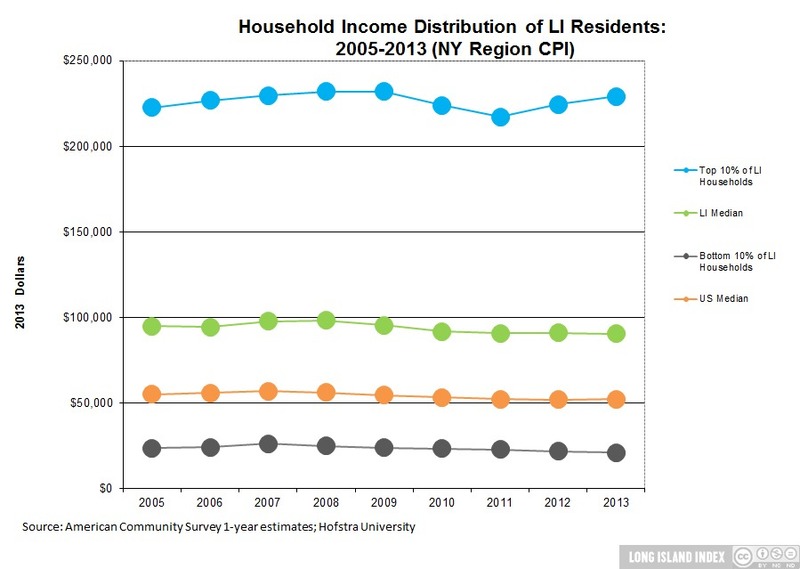 Median household income continue to decline at the middle and bottom while rising at the top. Changes in retail space provide an insight to regional economic activity over time. Key indicators include vacancy rates, rental rates and net absorption rates which measures whether the current inventory level is shrinking or growing. 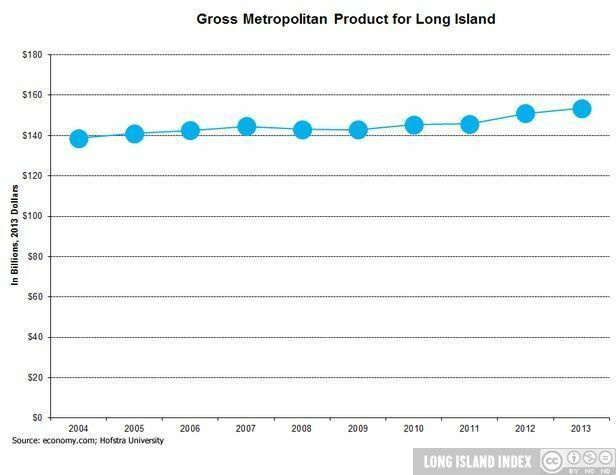 Long Island wages continue a slight downward trend, while converging with U.S. wages which have risen slightly since the recession. 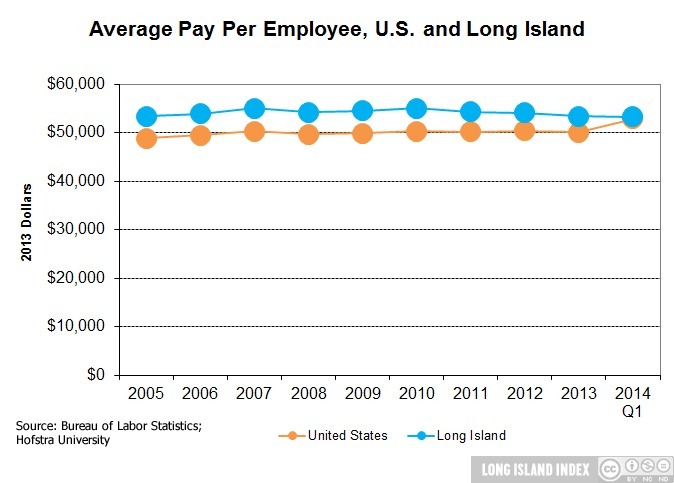 U.S. average pay is on a par with Long Island in first the quarter of 2014. 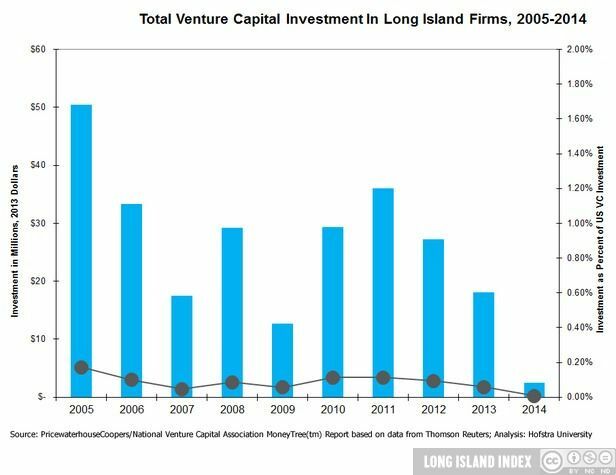 Long Island’s economy continues to show signs of growth since the recession. However, growth has lagged behind the U.S. GDP as a whole. Employment declines continue in the aftermath of the recession in some sectors; others show signs of growth. The largest employment losses occurred in higher-paying sectors. 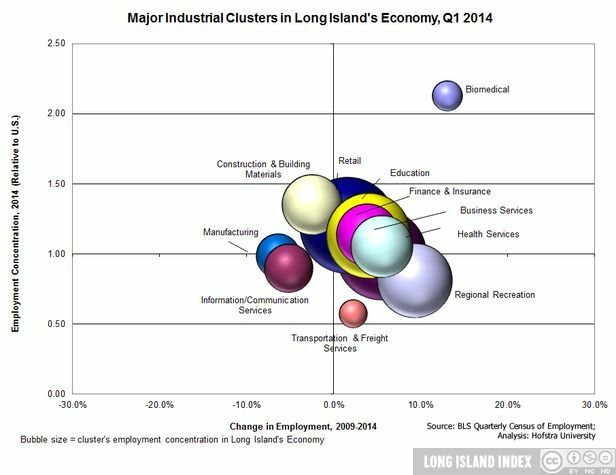 Long Island’s private sector employment remains below pre-recession levels.